Dr. Renee E. Edwards, DMD, PC. and her team welcome you to schedule an appointment today. We are dedicated to designing and creating the perfect smile for you. Our goal is to exceed your expectations and totally satisfy your desires for a new smile. You’ll find out just how simple and attainable your new smile can be. Our team prides itself in giving our patients the highest quality of care available. We will spoil you with our personal attention, our active listening to your needs and desires, and our gentle touch. We excel in helping phobic patients overcome their fear of dental treatment. 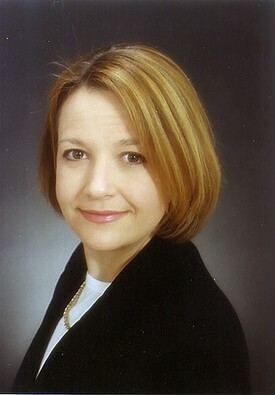 Dr. Edwards received her Bachelors of Science in Biology from the University of Scranton and her Doctorate of Dental Medicine from the University of Pennsylvania in 1991. Dr. Edwards has over 25 years of experience providing the healthy beautiful smiles in her community. She is passionate about providing compassionate care that can provide a needed service but also touch ones life. Dr. Edwards has completed numerous hours of continuing education to stay current with the newest and most advanced techniques in modern dentistry. She is a member of the American Dental Association, the Pennsylvania Dental Association and the Luzerne County District Dental Society. Dr. Edwards is a life long resident of NEPA and currently resides in Jenkins Township and when not in the office enjoys spending time with her husband and two daughters.